An overview of the key features within this release including: Spot Drill and Chamfering, Tool Path Oscillation, Automatic Part Tagging, Nesting Zones, Part Panelling and new powerful Combined Pocketing and Finishing Pocket cycle. This new cycle supports any drill type and calculates the required machining depth from a given chamfer depth. All selected holes will be analyzed to ensure the tool can enter the hole where there is a flat on the bottom of the tool, and that the tool diameter is sufficient to complete the full depth of chamfer. 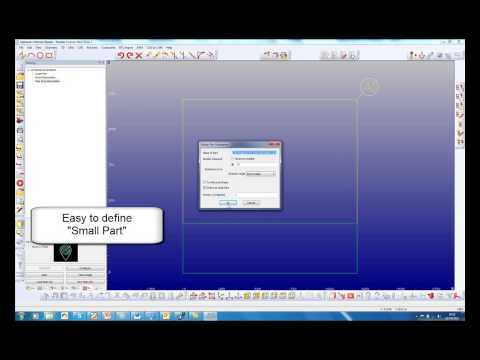 Small parts can now be identified and nested into specific areas of a sheet. 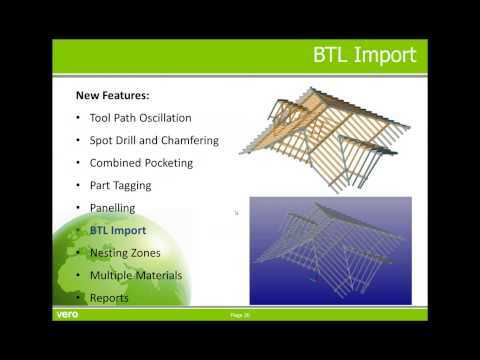 This contributes to reducing material wastage and improving the quality of the part. This allows for large geometries to be broken into sectioned pieces and automatically placed within separate panels (sheets). 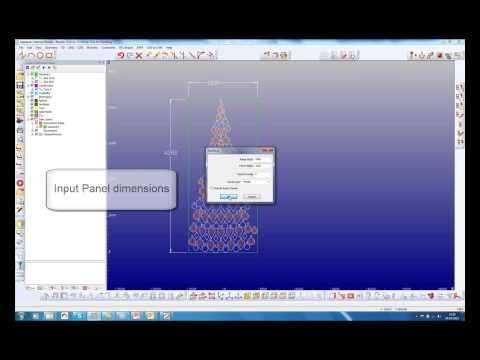 The resulting panels are automatically gapped apart, similar to nested sheets, and moved away from the original geometries for easy identification and access. 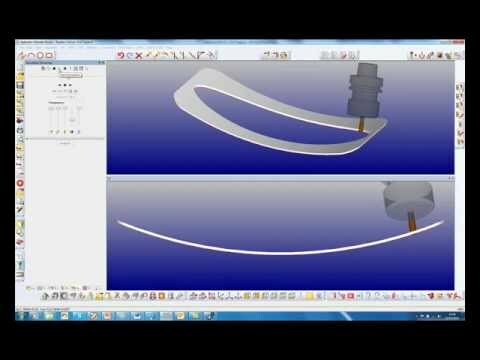 A sinusoidal or zig-zag up and down movement can be applied to any contour tool path, utilizing more of the effective cutting length of the tool used. This improves the surface finish and extends the tool life. 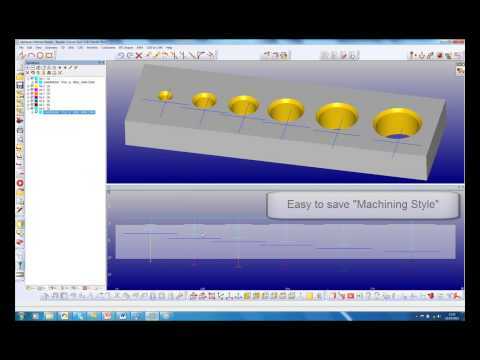 Support tags can be added automatically to any contour tool path (including 5-axis) This overcomes the issue of small parts moving during the nesting process, reducing material wastage and improving part quality. 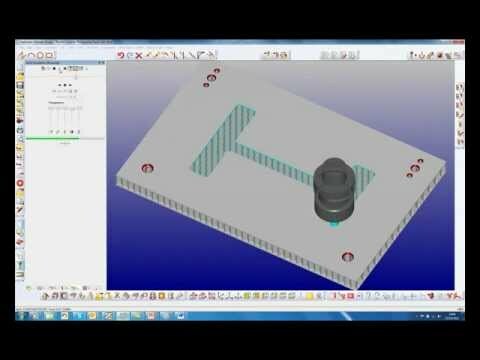 Area clearance and finish contour machining can now be combined into a single machining operation. 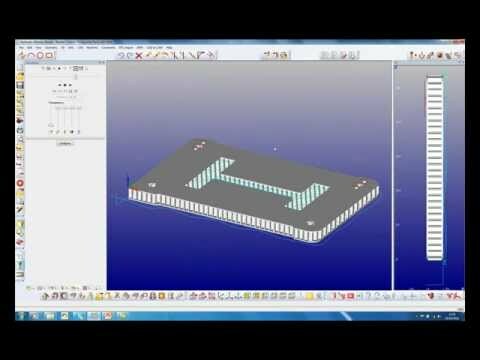 This improves the quality of the part and reduces programming time. 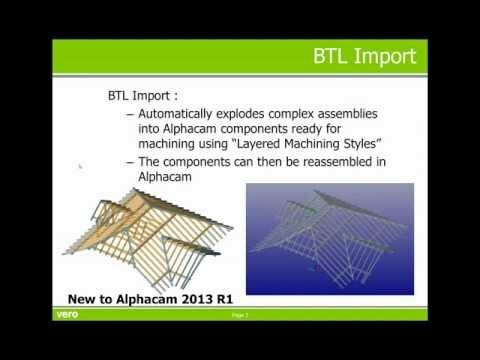 Automatically explodes complex BTL format assemblies into Alphacam components ready for machining using "Layered Machining Styles"